Scottish author and singer-songwriter Malachy Tallack’s The Undiscovered Islands: An Archipelago of Myths and Mysteries, Phantoms and Fakes (Picador, $20) tells the story of 24 islands that were once thought to be real including St Brendan’s Island, Hy Brasil and the Island of Buss. The detailed stories surrounding each of the ‘undiscovered’ places are plentiful, such as those associated with Sarah Ann Island registered by the United States Guano Company in 1858, as the nation attempted to get in on the guano trade. The phantom location was rumoured to have sunk, a myth that continues to endure on Wikipedia. 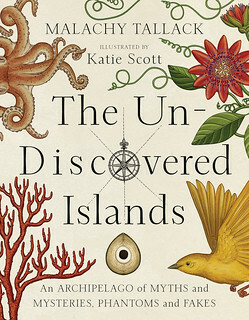 The Undiscovered Islands: An Archipelago of Myths and Mysteries, Phantoms and Fakes is beautifully illustrated by Katie Scott. 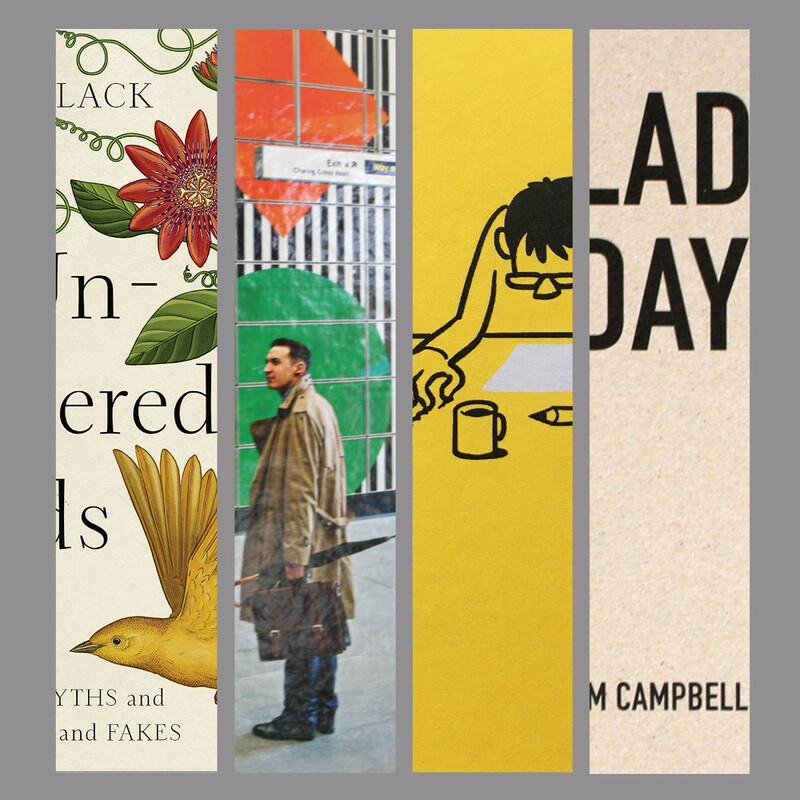 Book and cover design: Jamie Keenan. Cover for Malachy Tallack’s The Undiscovered Islands: An Archipelago of Myths and Mysteries, Phantoms and Fakes. 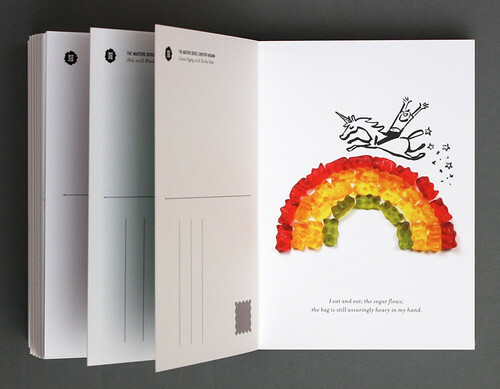 The Gummi Bear Chronicles, 2014. 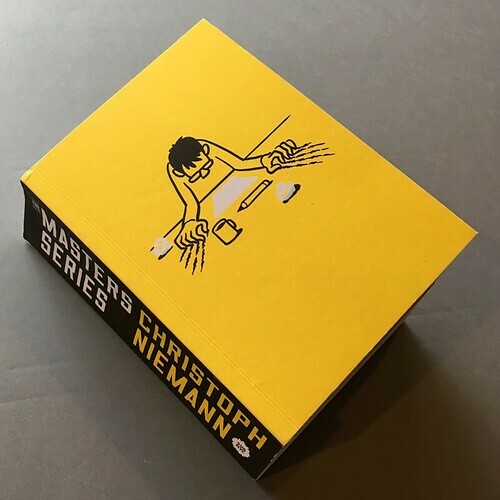 Cover for The Masters Series: Christoph Niemann. Water Salad on Monday (£20) by E. M. Campbell is a limited-edition book of black and white photographs that records life at Elm Tree Farm, near Bristol in the West of England. The farm offers people with learning disabilities a chance to work on the land, to tend to crops, use tools and care for animals. Photographer Campbell, who is also a film-maker, imbues her pictures of the farm and its vulnerable workers with humour and quiet dignity. Design: Dunstan Baker. Spreads from Water Salad on Monday showing E. M. Campbell’s tender photographs of Elm Tree Farm and those who work there. 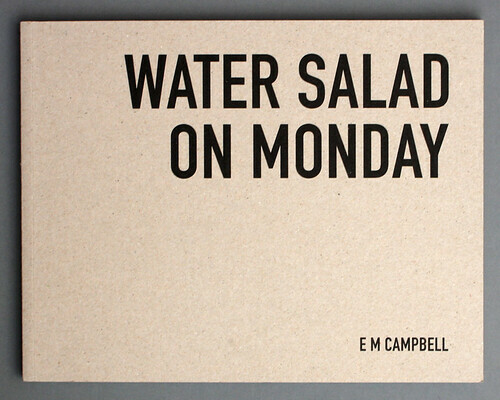 Cover for E. M. Campbell’s Water Salad on Monday. 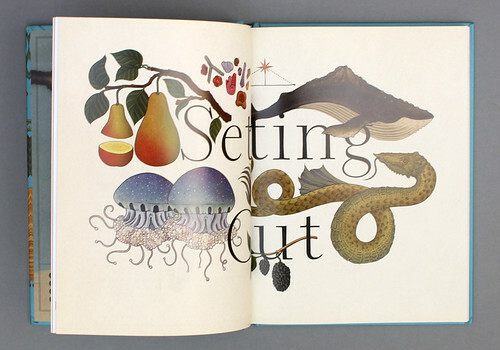 Design: Dunstan Baker. 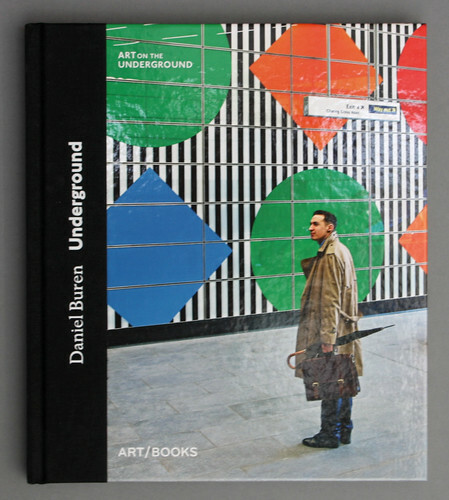 Daniel Buren: Underground (Art / Books, $35) is a hardback that memorialises the artist’s public work Diamonds and Circles at a London tube station. Tottenham Court Road has long been treasured for its mosaics by Eduardo Paolozzi, some of which have been repaired and relocated during the extensive renovation work required to accommodate the new (East-West) Elizabeth line. A coated section is packed with colourful full bleed pictures of the installation’s circles and diamonds. Colour, declares Buren, ‘is the only way in art to speak without speaking.’ The book’s uncoated pages include Tim Marlow’s interview with the artist and ‘Sous les paves, le Metro’, an essay by Hans Ulrich Obrist. 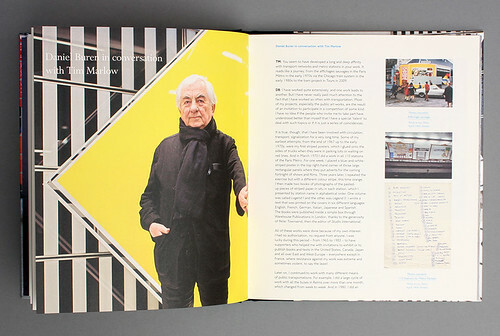 Spread from Underground showing a portrait of artist Daniel Buren taken by Benedict Johnson. 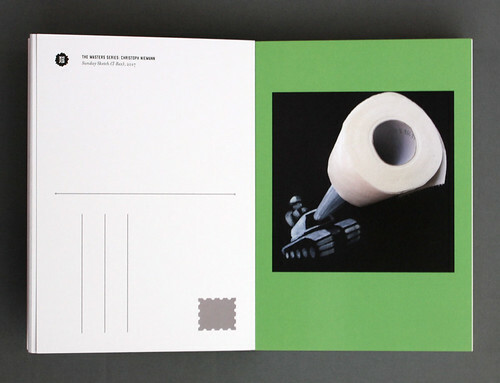 Cover for Daniel Buren: Underground.